When I saw ‘A beautiful mind’ with Russel Crowe I realized how much we can learn from game theory but also how little we “normal people” actually deploy it. *Why always two similar shops side by side on a vast beach? Game theory could provide us with a rational model to discuss, solve and avoid conflicts. Like rhetoric training in 1800s was limited to the aristocracy and theocracy, game theory today is limited to the highly educated or at worse, the economists, the mathematicians and the politicians. Make it public! If nothing else, cross breed disciplines! Employ mathematicians with this skill in the HR department in order to create new models for the talent society. HR as practised today is like the education system – it us out of date … generally speaking. Or am I wrong? Or use some game theorists in script writing for films, books and other drama plots. Let us create a drama that was not defined already in Ancient Greece? 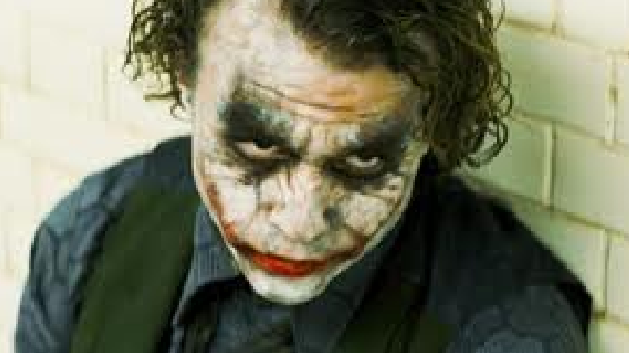 Heath Ledgers Joker is my favorite crook. He is also a master evil game theorist using three-four different unsolvable games that creates good suspense making “the Dark Knight” an extraordinary dark thriller. Said that, “Game theory for dummies” is currently not a book available. I would be happy to co-write it with an extremely diverse team…. or read it. This entry was posted in Brainstorming and tagged game theory. Bookmark the permalink.